For many consumers, cloud computing has gone from something completely unknown to an interesting solution for portability problems within the span of the last few years. Industry conferences and trade shows such as Cloud Expo allow those on the cutting edge of development to display and discuss innovative ways to use and improve the technology. Cloud Expo 2012 East took place in New York City on June 11 – 14. It was held in tandem to the new Big Data Expo, spotlighting the interconnectivity of cloud computing and sound use of big data. Storage Expo was held in Brussels this March, and also covered cloud and data issues. Another Cloud Expo is scheduled for the Silicon Valley area in November 2012. 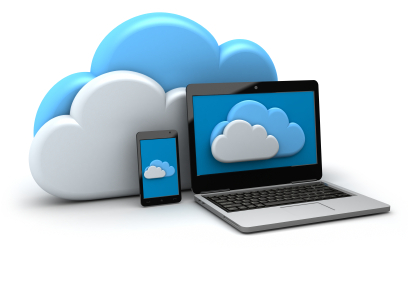 Basic cloud computing means that the user accesses programs or data through the Internet instead of through a connection to an server or from the user’s own hard drive. Consumers see cloud computing put to use in applications such as Justcloud, a subscription service that gives the user unlimited storage space that they can access from any computer or mobile device of their choice. Another common consumer application is Amazon’s Kindle, which stores e-books in the cloud and allows the user to read them from a dedicated e-reader or from any computer or mobile device with their proprietary app installed. Many users store music, photos, and other data online, which allows for easier sharing and automatic updating across devices. It may come as no surprise that the ideas discussed at Cloud Expo 2012 go beyond how consumers can use cloud computing to simplify their storage needs. Even those outside the computer industry, however, can appreciate the intricate work involved to improve data storage and access on all levels. Here are some of the topics presented at this summer’s Expo. John Yung of Appcara discussed solutions for the management of large-scale cloud-based enterprise computing. Rather than use the traditional approach of server-template technology to configure and run the programs, Appcara offers cloud-based software that uses information from these other programs to dynamically manage them. This allows their configurations to change as needed, and can enable the use of larger and more complex enterprise application programs. David Canellos and Mike Morrissey of PerspecSys discussed issues of data security and how data in the cloud can be used to create new innovations. They also covered other issues of interest to businesses, such as how to meet business security requirements and regulations with data stored in the cloud. These discussions were aimed toward businesses struggling with a switch to cloud-based computing and data storage. Michael Koppis of the Compuware APM Center of Excellence spoke at a session on application performance monitoring in several kinds of clouds. The average consumer may not care about specific cloud types implemented, but they can make a big difference for those responsible for cloud performance. Koppis also discussed how working in the cloud varies from working in a traditional environment, as well as other topics of interest to those involved with ensuring that clouds run smoothly. Cloud computing clearly means much more than the interesting storage solutions that applications like Justcloud or iTunes offer. Consumers can expect more cloud-based options in the future as companies find new ways to use the technology and to keep your data safe. As with any technology, as businesses develop methods to harness and expand it to meet the needs of consumers and other businesses, the more useful it will become. This entry was posted by admin on June 14, 2012 at 7:41 pm under Cloud Computing. Tagged Cloud, Cloud computing, Cloud Storage, Justcloud, Mobile Computing, Mobile Storage. Both comments and pings are currently closed.